When you can leverage other’s assets for sales and leads, it opens opportunities you may have not had otherwise. In today’s show, Richard Hale shares his 4 rules to leverage Facebook groups without being an a**. Are you struggling to figure out what you should be charging your clients? Determining the price of your service doesn’t have to be complicated. In this podcast, Richard Hale explains the simple steps to accurately price your offers. Do you feel you’re investing too much time in your business for the results you’re seeing? In today’s show, Richard Hale is going to explain what changes you need to make to start seeing better results. Imagine if you could turn more leads into paying clients, how much more revenue could you add? In this podcast, Richard explains the 4 strategies he uses to turn more leads into paying clients. There's nothing wrong with working hard in your business. However, if all you're doing is grinding away, you're going to burnout. 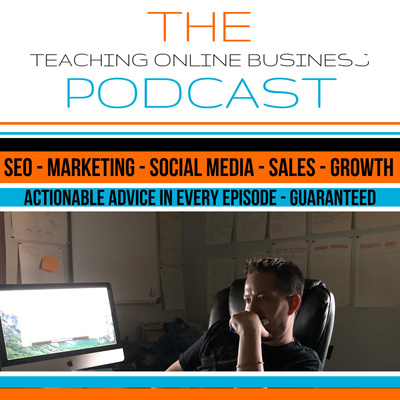 In this episode, Richard shares his own experiences about burning out and why getting away can actually help you grow your business.